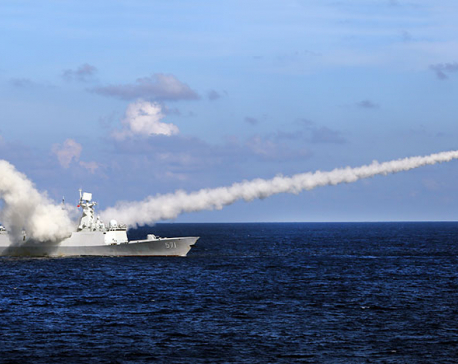 WASHINGTON, July 13: A landmark international tribunal ruling on the South China Sea threatens to sharpen the differences between the United States and China, highlighting a growing gulf between the world powers. "It will certainly intensify conflict and even confrontation," China's ambassador to the U.S., Cui Tiankai, said hours after the Hague-based tribunal issued its decision. "In the end it will undermine the authority and effectiveness of international law." In contrast, U.S. officials expressed hope that Tuesday's ruling, which rejected the legal basis of China's expansive territorial claims in the South China Sea, could provide an impetus to diplomacy. The ruling in a case brought by the Philippines was "an important contribution to the shared goal of a peaceful resolution to disputes in the South China Sea," said Daniel Kritenbrink, the White House policy director for Asia. Both he and Cui spoke at Washington's Center for Strategic and International Studies think tank, and their comments reflected how the South China Sea is increasingly the spoiler in relations between the U.S. and China. 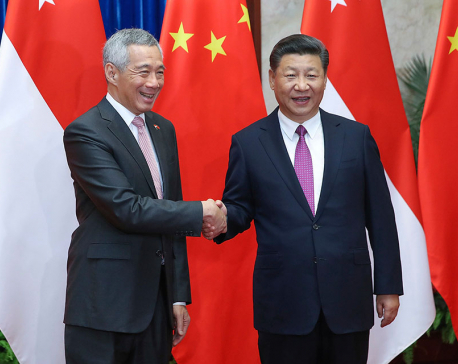 President Barack Obama and Chinese President Xi Jinping have managed to cooperate on global issues such as climate change, but tensions have grown over China's land reclamation in the South China Sea. China has created artificial islands with military facilities, viewed by the U.S. as an attempt to gain effective control of the area. The U.S. has responded with more military patrols, which China views as provocative. If first reactions to the ruling are anything to go by, the differences are set to deepen — although both sides say they don't want this issue to dominate the relationship. Kritenbrink said the U.S. stance was not driven by any strategic rivalry between the U.S. and China, but a desire to uphold the "rules-based international order." He said if that broke down, and countries built up strength and became more assertive, history shows it could lead to "tragic outcomes." Cui reiterated Beijing's support for negotiations to resolve territorial disputes, but said the ruling would set back the prospects of diplomacy in the South China Sea, where six Asian governments have competing claims. He also warned of the risk of conflict, but said it was China that was standing up for international law, by rejecting arbitration it had not consented to. The tribunal ruled it had jurisdiction in the case under the U.N. Convention on the Law of the Sea, which both China and the Philippines — but not the United States — are party to. To what extent the South China Sea dominates the U.S.-China relationship may hinge on their actions. 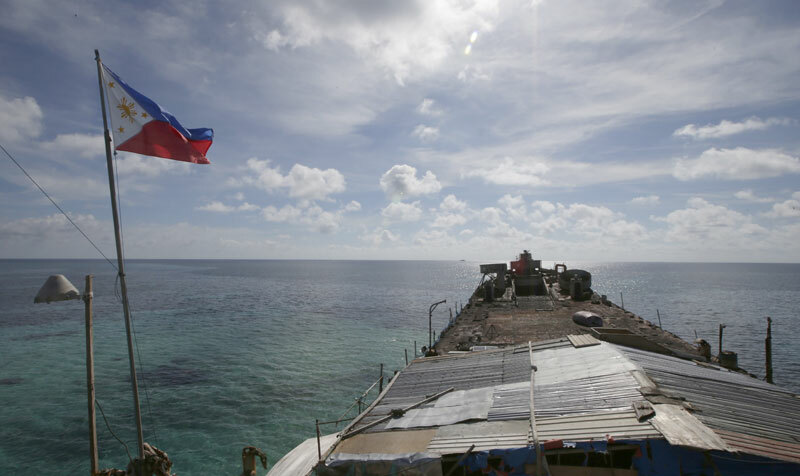 China could assert its sovereignty claims by declaring an air defense identification zone over the South China Sea, or starting construction on Scarborough Shoal, where a standoff with the Philippines prompted Manila to file the arbitration case in 2013. Amarjit Singh, a senior consultant at IHS Country Risk, predicted that after the ruling, the U.S. would undertake so-called "freedom of navigation" patrols and flights within the area to reinforce the tribunal's findings that various Chinese claims there are not valid. U.S. lawmakers are urging such action. Influential Republican Sen. John McCain was among those calling for the U.S. to regularly challenge "China's excessive maritime claims." Since the tribunal ruled that some of China's artificial islands are "low tide elevations" that are not entitled to 12 nautical miles of territorial sea, the U.S. may be tempted to sail closer than it has in the past. "In theory we could sail within 500 meters" of Mischief Reef, said Michael McDevitt, a retired U.S. Navy rear admiral with long experience in the Pacific. The reef is one of China's reclaimed islands, about 130 miles (210 kilometers) off the Philippine coast. He compared Obama's strategic pivot to boost the U.S. presence in the relatively stable Asia-Pacific to American interventions in Middle East countries such as Iraq, Libya and Syria — implying that it could lead to turmoil.